Randall Franks has shared a video with you on YouTube, Christmas Time's A Comin' - In the Heat of the Night Cast and Bluegrass Friends. Tex Logan's Christmas Time's A Comin' became the mainstay bluegrass Christmas song after a recording performed by Bill Monroe and his Blue Grass Boys. Greer, SC -- Buffets, Inc. and legendary music icon Charlie Daniels will be bringing holiday cheer to guests and military families alike with the launch of a new Christmas CD called Hallelujah It’s Christmas Time Again starting this week for just $8.99. Available exclusively in Buffets, Inc. restaurants, the CD features a wide range of classic and original holiday music including “I’ll Be Home for Christmas,” “Hallelujah,” as well as a special bonus track reading of Daniels’ “Carolina Christmas Carol.” In the spirit of the holidays, profits from the CD will be donated to the Armed Services YMCA (ASYMCA) for Operation Outdoors, a camp program that assists the children of military personnel during deployment. 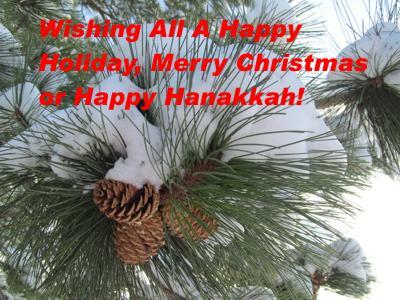 Cybergrass wants to wish everyone a joyous holiday season filled with joy, peace, happiness, health and prosperity. 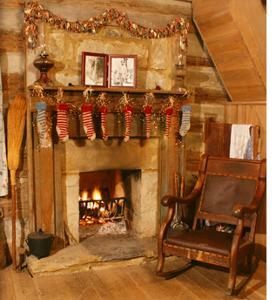 Saturday, December 17th, 2011, at 7:30 p.m. the Carter Family Fold in Hiltons, Virginia, will present a special Christmas program. In lieu of admission, please bring a donation of canned goods for the local food bank. Those not bringing a canned goods donation are asked to make a donation of $7 for adults with all proceeds going to the Food Bank. Anyone under 12 will be admitted free of charge. Those attending are asked to bring finger foods, two-liter drinks, and cups, plates, or napkins. Christmas music will be performed as refreshments are served. Afterwards, they'll have music by the Town Branch Bluegrass Band and others. 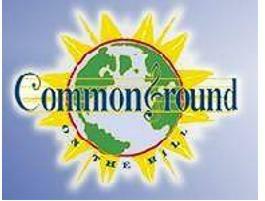 Musicians donate their time for this special Christmas show. Word from the North Pole is that Santa Claus will be visiting and available for photos with the children. 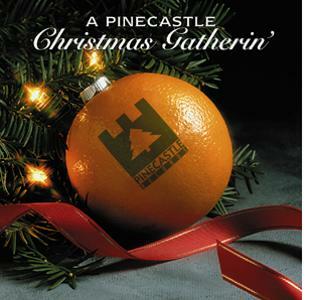 Pinecastle Records announced on their website that the label's second Christmas album, A Pinecastle Christmas Gatherin', is available for this year's holiday shopping season. Make sure the music rotation for this year's holiday gatherings includes a little bluegrass music. Released in 2003 the album includes 18 tracks from a variety of Pinecastle artists including Larry Stephenson, Jeff Autry, Wayne Benson, Aubrey Haynie, Jim Hurst and Missy Raines, Jesse McReynolds, Charlie Waller, David Parmley, Eddie & Martha Adcock, Josh Williams, Nothin' Fancy, Special Consensus, Wilfire and more. Grammy winning composer, violin virtuoso and educator Mark O'Connor will release his first holiday album, An Appalachian Christmas, on September 20 via OMAC Records. A star-studded collection featuring James Taylor, Yo-Yo Ma, Renee Fleming, Alison Krauss, Sharon Isbin, Jane Monheit, Chris Thile, Steve Wariner and more, An Appalachian Christmas features rare collaborations available for the first time in years as well as new recordings.